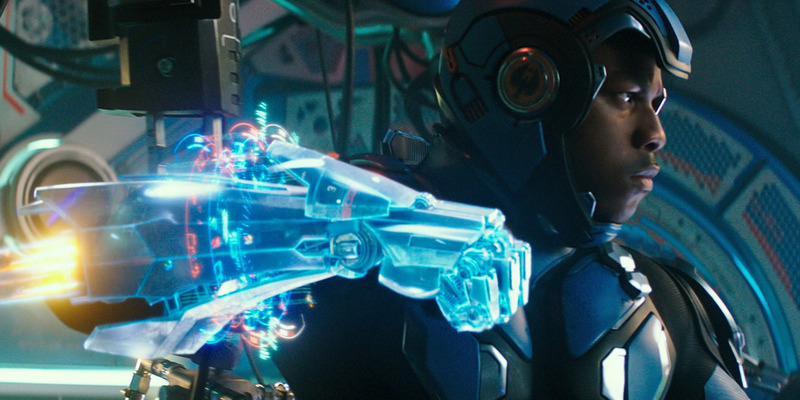 “Pacific Rim Uprising” wins the domestic box office with a less-than-stellar estimated $US28 million. But the movie is flexing its robotic muscles overseas, especially in China. “Black Panther” is now the highest-grossing superhero movie of all time domestically. “Black Panther” has finally been taken down from the top of the box office after five weeks straight atop it. But sadly for the industry, it doesn’t seems like a powerhouse is taking its place. Universal/Legendary Picture’s “Pacific Rim Uprising,” the sequel to the 2013 original – which follows the battle between human-built giant robots against huge sea monsters – scored an estimated $US28 million on over 3,700 screens to win the domestic box office, according to Variety. That’s less than the original movie’s opening ($US37.2 million) and drastically under the $US155 million budget of “Uprising.” But like most blockbusters these days, Hollywood is less interested in the domestic and more interested in the international performance. In that regard, “Uprising” has a better outlook. Playing in 62 markets outside of North America, the title is looking to have a $US146 million worldwide opening weekend, with a hefty $US65 million coming from China. That’s on par with what the opening of “Black Panther” had there. Speaking of the Marvel sensation, “Black Panther” steps down from one throne to sit on another. With a $US16.6 million weekend, its domestic total is now over $US630 million, which adds to its all-time total as the top superhero movie of all time. On Saturday, “Black Panther” passed “The Avengers” to be the top movie all-time in the genre (not counting inflation). And the movie pulled it off in just 36 days in theatres.